Tuesday afternoon – 16 June 2015 – focused on actors in political systems. Sarah Byrne and Lukas Krienbühl presented the SDC supported learning project on Actors of local Democracy – opening up the perspective, followed by SDC case studies from Macedonia, Mongolia and Tanzania. To learn more about this topic, consult the further reading list and the summary of the e-discussion that took place prior to the f2f event. 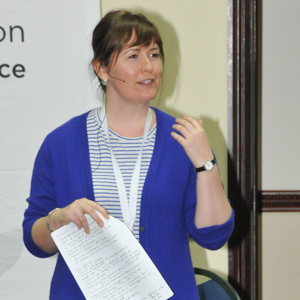 Sarah Byrne, Helvetas Swiss Intercooperation, and Lukas Krienbühl, swisspeace, presented first findings from the joint learning project that emerged from the ddlgn, on “Actors of local Democracy – opening up the perspective”. The learning project is still in progress. It first mapped SDC’s existing experience with a series of actors. 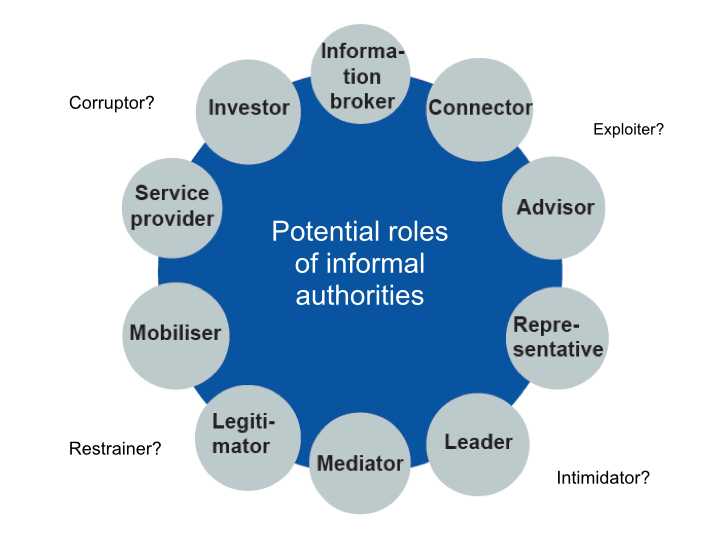 Several types of actors with invisible or informal power can be distinguished, and DDLGN members showed a clear interest to better understand both the spaces and processes through which informal authority is claimed, negotiated and used, what role these authorities play in local democracy, and wether and how SDC could engage with them. Anuratha Joshi from IDS, together with Zolzaya Lhakvasuren from SCO Mongolia, Ibrahim Mehmeti from SCO Macedonia, and Eric Kalunga from SDC Tanzania, presented the main findings from the three case studies made in the framework of this learning project. In Mongolia, homeland associations and their relations to local governance processes were analysed. In Macedonia the role of religious authorities was reviewed, and in Tanzania the study looked at customary and informal authorities in the Iringa rural district. 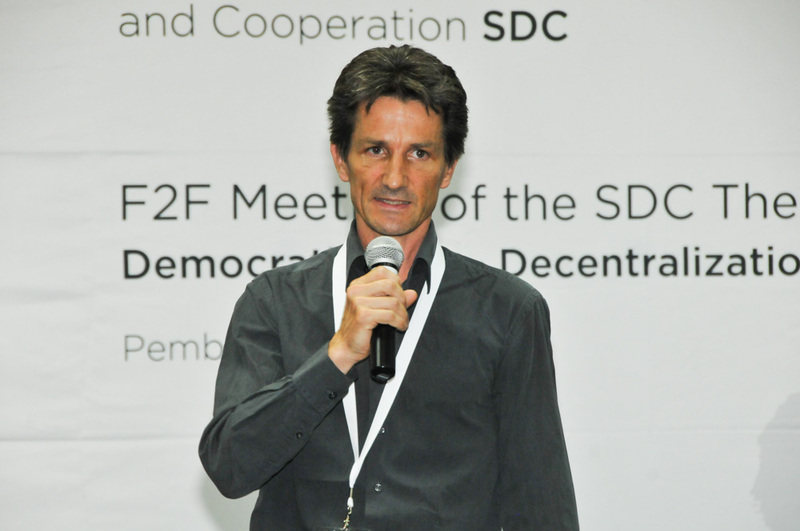 According to Matthias Boss, swisspeace, the learning project will analyse the findings further and plans to come forward with an analytical framework to assess informal authorities and the way how SDC should engage with them. The fascinating discussion in this afternoon’s F2F session reminded me of the work of my colleagues in the Collaboration for Research on Democracy (CORD) network, who recently published a book of case studies on ‘informal political mediation’. The book is called ‘Mediated Citizenship: The Informal Politics of Speaking for Citizens in the Global South’. The book is quite expensive, but the introductory chapter can be downloaded for free from the publisher’s website. In this introductory chapter, the book’s editors Bettina von Lieres and Laurence Piper set out a typology of mediators that may be a useful complement to the list of informal authorities’ functions that we heard about from the SDC/Helvetas/Swiss Peace/IDS learning project team. The first of the categories proposed by Bettina and Laurence is ‘diplomats’, who move between marginalised communities and governments carrying information, but without necessarily creating accountability relations. The second is ‘educators’, who help to strengthen citizenship and the role of rights-bearers in accountability relations. The third is ‘captors’, who use their mediating role to capture power and resources for themselves, without themselves being held to account. As they themselves say, there are many other types of mediator, but these were the ones that emerged most strongly from the case studies in the book, which come from Angola, Bangladesh, Brazil, Canada, China, India, Lebanon and South Africa. In the next phase of the DDLGN learning project, this typology may help us to think about how different kinds of mediation function can promote or block efforts to create a healthier ‘accountability ecosystem’. CORD, the group that produced this book, was formed by a group of researchers from different countries who first worked together on the Development Research Centre on Citizenship Participation and Accountability (http://www.drc-citizenship.org). 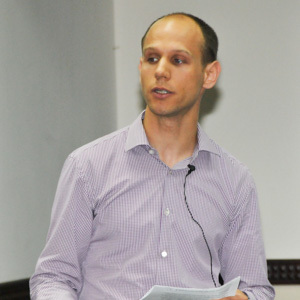 It is convened by Bettina (who is based at the University of Toronto in Canada) and Laurence (who is based at the University of the Western Cape in South Africa), and has several working groups, many of which – such as the ones on ‘marginalisation and service provision’ and ‘activists, institutions and change’ – are very relevant to some of the issues we have been discussing here in Pemba – you can find out more from its website. Day two discussions focused on parliamentary assistance and working with “unusual” actors.